At Foster Dance Studios, their goal is to offer an exceptional dance education, to respect the whole individual, and to inspire all students to find the dancer within. The studio provides flexible, open schedules and a personalized curriculum, all within a welcoming atmosphere. Just steps from the Foster El stop in Evanston, their 3,000 sq. ft. studios are easily accessible to the North Shore and Chicago. Convenient street and lot parking are available. Check out Foster Dance Studios’ updated summer schedule with new classes and exciting additions to faculty! On Saturday, June 6, from noon to 5 p.m., community members are invited to attend Open Studios Evanston, a free event that opens studio and gallery doors throughout Evanston to the general public to view artwork and participate in free events. Attendees will get to view works of art from more than 100 Evanston artists, listen to live music, watch dance performances, and join in creating a community quilt. Attendees will get to view art in various categories, including painting and photography; dance, music and musical theater; jewelry; print making; and much more. Additionally, attendees will get to explore these works of art in several galleries and art organization spaces, including Alley Gallery, Art Encounter, As You Like It Salon, Block Museum, etc. Music School, Evanston Art Center, Hip Circle Studio, Noyes Cultural Arts Center and Space 900. 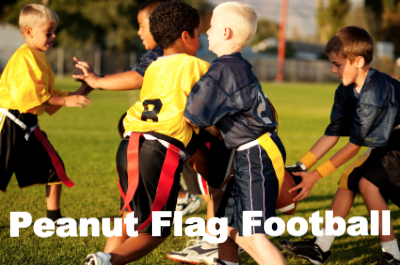 To view the event map, click here. For more information about the Open Studio Evanston event and “Made in Evanston” exhibit, please visit openstudiosevanston.blogspot.com. 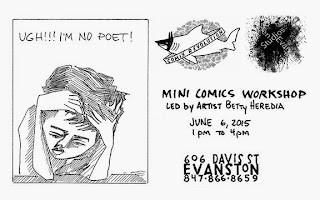 Comix Revolution Evanston at 606 Davis Street is hosting comix artist Betty Heredia for a comix drawing demo on June 6, 1-4 p.m. Come and make a mini comic. Heredia will bring templates, some tools, glue sticks, paper, pencils to encourage people to make zines and comics, to express themselves in what is essentially a democratic art practice.